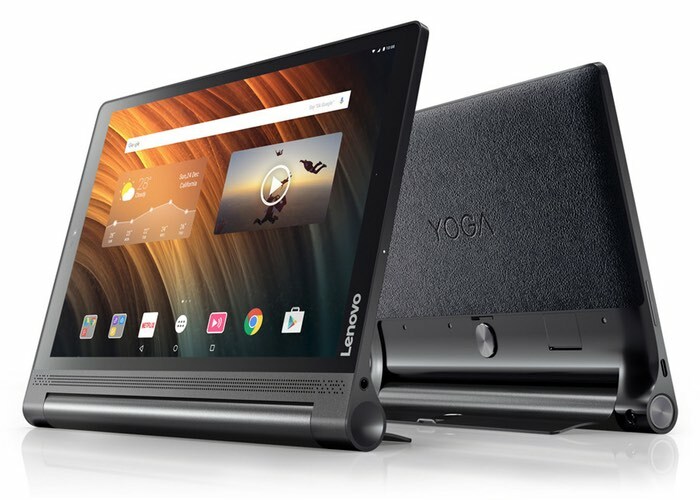 Following on from the specifications that were made available during August of this year, Lenovo has now officially launched their new Yoga Tab 3 Plus Android tablet which is equipped with a high-resolution IP51 splash proof display offering users a resolution of 2560 x 1600 pixels. The Android tablet is powered by a powerful Qualcomm Snapdragon 650 hex-acore processor supported by 3 GB of RAM and includes 32 GB of internal storage as well as connectivity via Bluetooth 4.0 and wireless 802.11ac. Lenovo have also included a handy microSD card slot to expand the internal storage even further if required as well as four front-facing JBL speakers and 5 megapixel front facing camera for video calling, together with a 13 megapixel rear facing for video and photographs. Check out the video below to learn more. Yoga Tab 3 Plus – Your Personal TV. The YOGA Tab 3 Plus makes the perfect companion for movie and TV lovers alike. This tablet offers a pristine 2K display, endless battery life, and theater-caliber JBL speakers. And because of its ultra portability, you can experience all your entertainment from beyond just your couch.